While we've seen a lot of details on the Galaxy S10 leak out in the past months, we have still no idea what the device will look like. 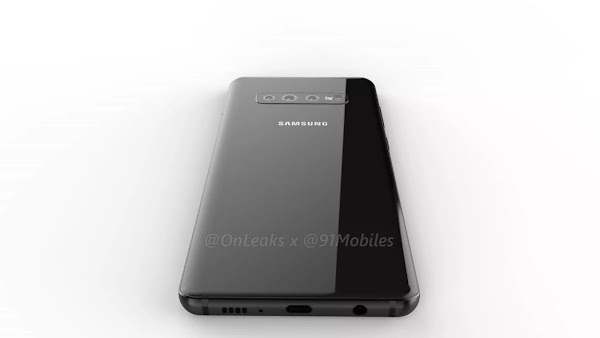 Now, several leaked renders have surfaced through 91Mobiles and OnLeaks looking at what is reportedly the Samsung Galaxy S10 Plus. The Galaxy S10 Plus is expected to be larger than the regular Galaxy S10. It appears to feature a triple camera setup on the rear, with all three cameras arranged horizontally. We also see a flash and what we assume is a heart-rate sensor next to the cameras. 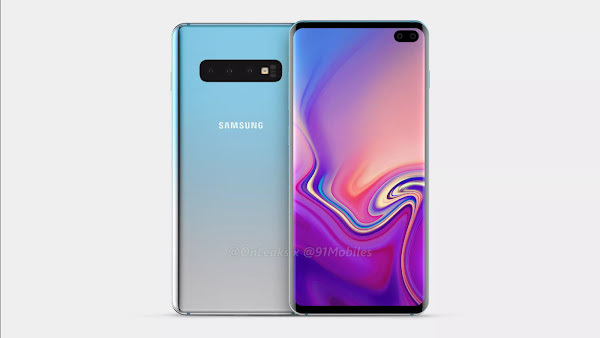 Samsung also appears to be using a Huawei-style gradient color scheme on the device and we are curious to see if this design choice makes it to the final version. There is no physical fingerprint scanner visible, leading us to believe that Samsung will be using its ultrasonic in-display fingerprint sensor, which uses ultrasonic sound waves to verify fingerprints. On the right, you will find the power and volume buttons, while the dedicated Bixby key can be found on the left. On the front, the Galaxy S10 Plus has what looks like two selfie cameras in a display hole on the top. It is believed that Samsung will be replacing its Iris scanner for a face unlock solution similar to Apple's Face ID on its new devices. On the bottom, we see the speaker grille, USB Type-C port, and a headphone jack. So it looks like Samsung will be keeping the headphone jack alive on their upcoming flagship, at least in the case of its plus-sized model. 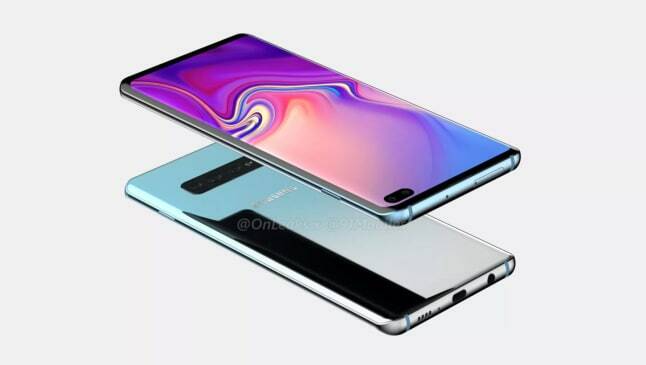 Do these renders change your impressions of the upcoming Galaxy S10 Plus? Is it a smartphone you will consider purchasing when it is released next year?